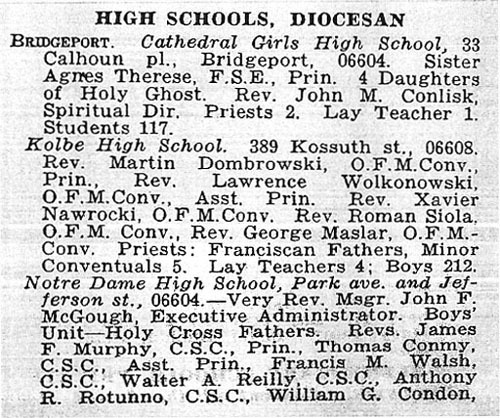 These are Catholic high schools in the state of Connecticut which were once in operation, but were closed. Some are from the very early part of the 20th Century or even late 19th Century. Click on the name of the school for details. 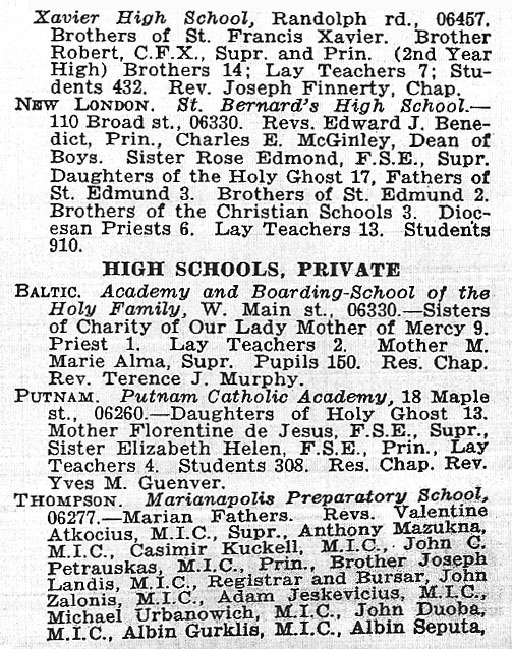 Do you have any information, photos, articles, memorabilia regarding any of these schools? It would be great to add it to this collection. No need to send originals, photocopies or scans are fine. E-mail here. In 1997, Saint Bernard Academy was founded for grades 6 through 8. On August 17, 2006, the Most Reverend Michael R. Cote, D.D., Bishop of Norwich, announced a new administrative structure to unite St. Bernard High School and St. Bernard Academy under the one name of Saint Bernard School, grades 6-12.